There are a lot of misunderstandings around depreciation – what can and can’t be claimed, when claims can be made, who can claim them, and so on. Here is a look at some "depreciation myths" with comments by Zac Gleeson, asset services manager at Mitchell Brandtman, that will hopefully demystify and simplify the matter. 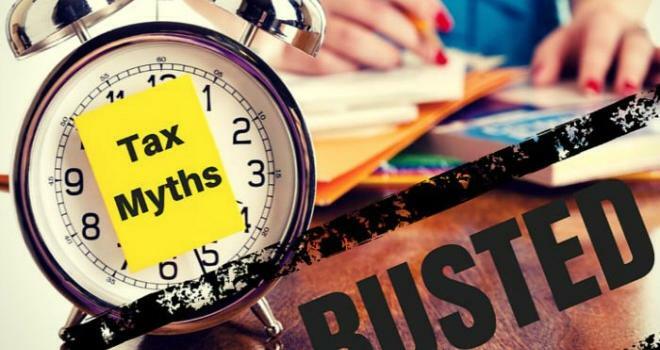 The first myth which we would like to squash regarding tax depreciation is the notion that capital gains tax (CGT), which occurs at the disposal of your investment property, negates the savings made through claiming depreciation. The only instance where there is any truth to this statement is if you hold your investment property for less than one year, as you are unable to claim the CGT 50 per cent discount. “People get scared off by the fact that claiming tax depreciation does in fact decrease your cost base. Let’s just look at this on face value for a second, claiming tax depreciation increases your capital gain and enables a larger after-tax profit,” says Gleeson. If that is not enough, the increase in tax you pay at the capital gains event is less than half of the savings you have made through claiming tax depreciation over the life of your investment. Another win is the fact that plant and equipment, which equates on average to approximately $20,000 worth of tax deductions, is not taken into account within the capital gains calculations. Division 43 allowances are available to property investors whose investment property was built and/or renovated after September 15, 1987. Depreciation on plant and equipment is available to all property investors – there is no time limit for these assets. No matter the age of a property, all investment properties qualify for depreciation. If your property was built prior to September 15, 1987, it will be inspected and your depreciation entitlements will be estimated based on the renovations, extensions and improvements undertaken to the property. No matter whether the works were completed by yourself or by previous owners, you are entitled to the depreciation of these works. Plant and equipment is commonly worth up to $20,000 in total deductions over the full life of the assets. If you are concerned about whether it is worth getting a depreciation schedule completed due to the age of the building, it’s worth speaking to a quantity surveyor (QS). From asking a few basic questions, these experts will be able to determine whether getting a depreciation schedule done is worthwhile and will outweigh their fee. I love this one as this is where a QS can really add value and increase your cash flow. We believe there is no truth to this statement. Quantity surveyors are the most suitably qualified and recognised profession by the Australian Tax Office to estimate the value of renovation works undertaken to the property and also estimate when the works were undertaken. They use a trained eye when inspecting the property, draw upon extensive construction knowledge, utilise historic council records and building searches, and use historical photos of the property as the basis for calculations. The experience a QS brings could save you thousands of dollars. On a 10-to-30-year-old property, there is $50,000 right there which you could be missing out on if you didn’t get a QS to do a depreciation schedule for your investment property. If you are about to renovate your investment property, it may be worth getting a QS to undertake a pre-renovation inspection. This inspection allows a QS to identify what assets or capital works you are going to demolish or throw out. Did you know that you are entitled to assign a value to these assets and write them off as an immediate tax deduction? It is easy to get narrow minded when renovating as you want to complete the renovation as quickly as you can so that you can get a tenant back in paying rent, but a pre-renovation inspection and ‘scrapping report’ can save you thousands, which can offset your loss made through the renovation period. Renovations to an investment property, whether undertaken prior to your purchase or if you are undertaking them yourself, are a gold mine if you utilise your depreciation entitlements correctly. Quantity surveyors are experts in construction costs and are recognised by the Australian Taxation Office (ATO) as the most suitably qualified profession to estimate the depreciable expenditure spent on the property prior to your purchase as well as the value of the fittings and equipment within the property. Even if it was constructed 25 years ago, a QS can estimate the construction cost using historical data, thereby increasing your depreciation entitlements. In accordance with ATO Tax Ruling 97/25, if your investment property was constructed after September 1987 and/or construction costs are unknown, you must engage a registered and qualified QS to produce a depreciation schedule. Your accountant can’t do this for you, if you haven’t paid for it or if you weren’t the original owner, you will need a QS involved to be able to maximise your depreciation. Another scenario in which a QS can maximise your depreciation compared to an accountant is when you have built the building and you know how much it cost but you don’t have a sufficient break-up of items to be able to accelerate the depreciation. Can you show your accountant how much was spent on air-conditioning, light fittings, appliances, carpet, blinds and the like? In 99 per cent of cases, the builder will not break up this expenditure up for you. Quantity surveyors can again estimate the cost of each asset and accelerate your depreciation. It is very typical for a QS to be able to double your depreciation in the first full financial year by undertaking this exercise. This results in a saving of thousands of dollars which would have otherwise been paid in tax. We want to start this conversation off very simply with the fact that the structure of your investment property (IP) has an effective life of 40 years. If you have owned your investment property which was built post September 1987, then it is very likely you are missing out on thousands of dollars worth of possible tax deductions. Even if your IP was built prior to September 1987, your property must have had renovations undertaken. Even if it was 10 years ago, there will still be significant value left to depreciate. Zac is a 5D Quantity Surveyor and has been a part of the Mitchell Brandtman team for the past six years. Leading the Asset Services team, Zac has an excellent understanding of cost planning, tax depreciation, associated tax legislation, replacement cost estimates (insurance valuations) and Sinking Fund Analysis.